Who knew Dragon Quest Builders 2 would be one of the cross-platform play pioneers on the PlayStation 4? After getting that perfect shot in Photo Mode, you’ll be able to send it to the “Bulletin Board” for other players to see. The Bulletin Board is the same for all players, regardless of whether they are playing on the PS4 or Nintendo Switch. In addition, you’ll also be able to explore the islands belonging to players from other platforms, though you can’t directly interact with them. No, this isn’t cross-play on the level of Fortnite, but it’s still a nice touch for players everywhere. To be able to see the creativity of players on all platforms is certainly a sign of goodwill. It also allows the Dragon Quest community to be united, not divided, and lets them appreciate the works of fellow builders all over. Cross-platform play has certainly become a hot topic this generation. Ever since Sony announced it would allow the feature in Fortnite, more developers began to tease the inclusion. Games like Rocket League and Minecraft have teased the inclusion. 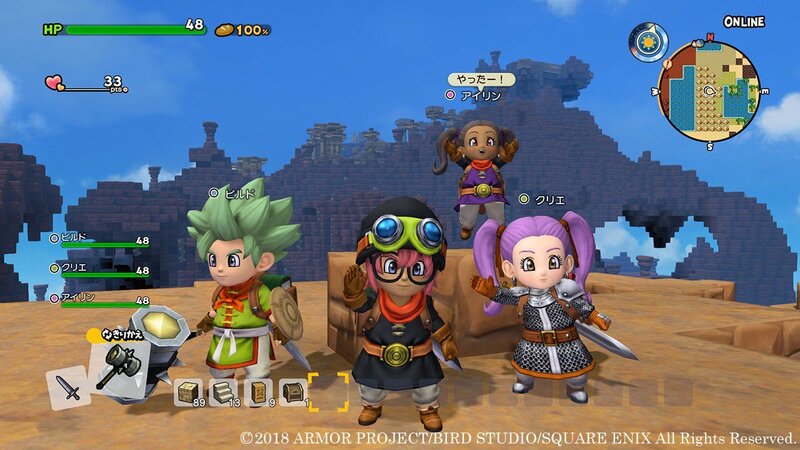 However, it looks like Dragon Quest Builders 2 got the jump on all of them. Just maybe not in the way we’d expect.